DUBAI – The region’s leading dining destination, Atlantis, The Palm is hosting the second edition of its overwhelmingly popular Culinary Month, between 27th September and 28th October. 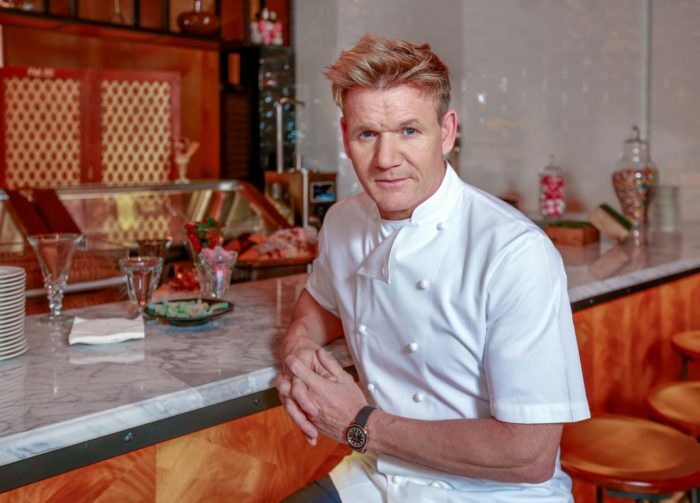 After firmly establishing itself as a must-attend event last year, the destination is inviting guests to meet, greet and eat with some of the world’s most famous and celebrated chefs including Nobu Matsuhisa and Gordon Ramsay. With a line-up of tasting menus, pop-up events, competitions, and demonstrations, Culinary Month will be the ultimate culinary event of the year. For a special week during Culinary Month, foodies will be able to indulge in exquisite set menus at Ossiano, Nobu and Seafire Steakhouse for only AED 350, or at Bread Street Kitchen & Bar, Ronda Locatelli, and Ayamna for just AED 150. From Gordon’s Vegetarian Wellington at Bread Street Kitchen & Bar to Seafire’s colossal 18oz T-Bone steak and of course, the legendary Nobu miso-marinated black cod, this is the ultimate chance for diners to try award-winning signature dishes for an unbeatable price. Kicking off the first week of Culinary Month, guests will have the rare opportunity to celebrate ten years of Nobu Dubai with an exclusive Omakase menu, featuring Nobu Matsuhisa’s most-loved dishes from his lifetime of cooking. For AED 595, 8 pm to 12 pm, guests will be treated to Nobu classics and an appearance from the man himself. Nobu will be holding a very special edition of The World of Nobu brunch, between 12 pm and 3:00 pm. Bringing together a selection of signature dishes from 10 Nobu restaurants around the world, diners can indulge in specialties such as the famous black cod yuzu miso, salmon and ikura pancake with tofu cream and green tea pancake with berries sauce to name a few. Starting from AED 395, and with an appearance from Nobu, it’s one brunch Nobu fans won’t want to miss. Michelin star chef Giorgio Locatelli’s award restaurant, Ronda Locatelli have created the ultimate grape and cheese night for Culinary Month. Taking place from 6 pm to 10 pm, the La Bottega evening will see guests feast on a buffet of the finest Italian delicacies including, street food, cold cuts and a vast selection of cheeses. The evening will be complete with one hour of free-flowing grape for just AED 190 and AED 90 for an additional hour. In celebration of all things caviar, Ossiano will present a very special 6-course degustation extravaganza, featuring exclusive caviars from around the globe. With bookings available from 6:30 pm to 10:30 pm and costing from AED 830, special dishes will include Kristal Caviar and Gillardeau oysters, Beluga Caviar with Plankton Blanc and White Sturgeon Caviar with milk foam for dessert. Complete with live entertainment by Salha and Joel, it’s set to be a Culinary Month highlight. Voted one of the top 10 best chefs in the world, Gregoire Berger, Chef de Cuisine of Ossiano will join forces with celebrated Chef Himanshu Saini of Carnival Tresind Dubai for an exclusive Four Hands dinner. With bookings available from 6:30 pm to 10:30 pm, this very special 11-course menu will fuse Western and Indian flavours with the very best produce from land and sea. Prices start at AED 950. Seafire Steakhouse & Bar will be hosting its very own Four Hands dinner which will see Chef de Cuisine, Raymond Wong, team up with South African celebrity chef and MasterChef judge, Reuben Riffel of One&Only Cape Town, South Africa. On Thursday 18thbetween 7pm-11pm, guests can enjoy an interactive BBQ Braai dinner and on 19th October between 7pm-11pm, Chef Raymond and Rueben will serve a special 6-course meat feast menu paired with the finest South African Grape. Disclaimer: The Daily Brunch does not hold the rights to the images or the content.